Have you ever been at a restaurant, ordered a meal, and then wished you could recreate that same meal at home? It happens to me all the time! Thankfully, those same delicious waffles I’ve had at restaurants I can now cook at home. What about those great recipes that your favorite food bloggers write online? Can you recreate them at home? Not with Eggos! For specialty waffles, you’re going to need the right ingredients and the right tools. For specialty waffles, it takes a waffle maker! It doesn’t matter if you’re craving the Spicy Fried Chicken and Waffle Recipe by Kitchen Swagger, Smores Waffles with Nutella and Toasted Coconut by Pinch of Yum (yum! ), or a classic Waffle House waffle by the…. Waffle House. You can now have it! As you’re looking for the best waffle maker, on this website you’ll find my unbiased, personal waffle maker reviews as well as articles on waffle maker and waffle iron advice. Please keep in mind that there’s no such thing necessarily as the best waffle maker. There are a lot of different waffle makers for different budgets and different needs. There are waffle makers under $20 and over $400. Crazy, huh? What does a Waffle Maker do? A waffle maker is kitchen appliance that bakes batter into a chewy/crispy pancake with grooves, which is called a waffle. The batter is compressed between two heated plates. The plates cook the batter and leave them indented with pockets to be filled with whatever toppings the cook prefers. Waffle makers are easy to use, allowing a cook to whip up as many as he or she would like without tiring. Waffle makers vary in several different ways. What are the different types of Waffle Makers? Standard Waffle Makers: Standard waffle makers create waffles that are usually between 5 and 7 inches across. The pockets are not very deep and the waffles tend to be an even texture all the way through. Standard waffle makers often cook several waffles at a time, creating clear divisions between multiple waffles for easy cutting. Belgian Waffle Makers: Belgian waffles are thicker than their standard counterparts, but they tend to be the same size across. Belgian waffles are often circular and require a more time-intensive recipe to create. These waffles are crispy on the outside, moist on the inside, and can be easily recognized by their deep pockets. Flip/Rotating Waffle Makers: Some waffle makers come with a clamshell shaped cooking device. This offers users the option to cook two waffles at once. Simply fill the top portion of the clamshell with batter, close the lid, and flip it 180 degrees to access the other side. Cooking waffles this way allows for even cooking on both sides Rotating waffle makers have basically the same design, except that instead of flipping them 180 degrees, they’re rotated. Multi-Use Waffle Makers: Some waffles makers come with removable and or interchangeable cooking plates. These devices will have other plates included, allowing you to use the appliance as a grill or a griddle along with being able to make waffles. This gives you the option to do more with a single piece of equipment. These are often Easy Kitchen Appliance favorites because they’re so multi-functional! 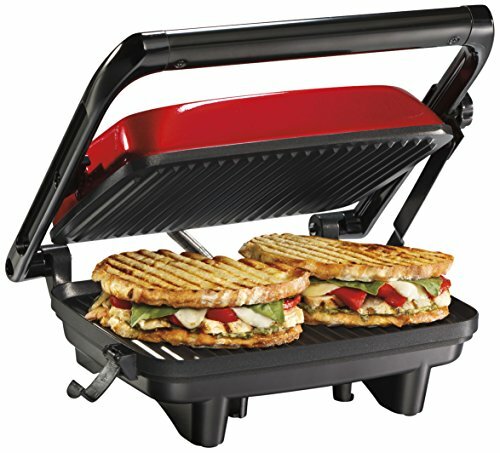 Imagine being able to cook waffles, pancakes, paninis, sandwiches, and eggs all on the same device, sometimes at the same time! Cast Iron Waffle Makers/Irons: These are metal waffle makers that you pour the batter in and then directly heat over the stove top or over a fire. These can be a hit if you’re camping or if you’re being especially careful with how you cook your food. Some people are hesitant to eat from non-stick cookware and prefer to eat from cast iron pans. To get an idea of what this looks like, see below! Number of Waffles: A waffle maker can only make a specified amount of waffles at a time. If you want to be able to feed a family of six in a short amount of time, a waffle maker that can only produce one or two waffles at once may not be the best option. Find a model that will make the amount that you need. Quality of Construction: A flimsy waffle maker won’t hold up for long. Look for appliances that are made sturdy and have a reputation for lasting a long time. Non-Stick Plates: Digging a stuck-on waffle out of a waffle maker can be frustrating! 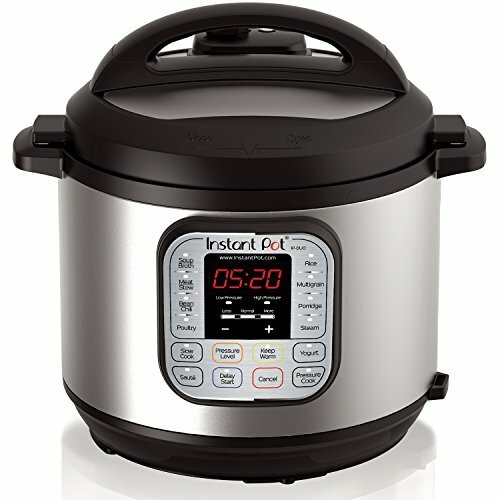 Choose a model with non-stick plates for easy removal and cleaning. Even Cooking Capacity: Low end waffle irons will cook the waffle more in the middle than on the outside edges. Go for a higher quality model for even cooking. Indicator Lights: Find a model with indicator lights that tell you when the waffle iron is hot enough. If your machine is too cool when the batter goes in, your waffles will not cook properly. “Ready” Chime: If you are concerned about becoming distracted and letting your waffles burn, find a model that comes with a ready chime. This audio tone will alert you when your waffles are done. Browning Control: Waffle makers that have a browning control included allow you to choose how well done your waffles are cooked. This is useful if you like your waffles cooked in a particular way. Easy Storage: Ease of storage is a huge benefit to waffle makers, especially if they won’t be used every day. Look for a model with a lock on the top to keep the device from spontaneously flying open if stored on its side. Waring: Waring makes high quality waffle makers that are similar to what you might seen in a restaurant or hotel buffet. The waffles they make come out perfectly: crispy on the outside and moist on the inside. Cuisinart: Waffle makers by Cuisinart are perfect for those with large families or those who aren’t sure if they will use one too often. These waffle makers often make four or six waffles at a time at an affordable price. Hamilton Beach: Hamilton Beach is a long time producer of waffle makers and other quality kitchen appliances. Black and Decker: For a variety of different types of waffle makers, Black and Decker is the place to look. You’ll find innovative new uses of these appliances and some multi-use irons that can double as griddles and grills. Oster: Believe it or not, Oster currently has the number 1 best selling Waffle Maker on Amazon right now! Look here for a more exhaustive list of the Best Waffle Irons!. Where’s the best place to buy Waffle Makers? – Amazon.com! This is a great question and one that we receive often. The best place to buy a waffle maker is, without a doubt, on Amazon.com. You might be wondering, why should I buy something online without ever having the opportunity to see it myself like I would be able to at a big box retailer or local appliance store? Because Amazon is infinitely better! There are a few reasons that Amazon stands out. Those are the same reasons that make Amazon one of the most trusted and successful retailers in the entire world. If you visit your local store and stroll by the kitchen appliance section, you’ll likely see one or two waffle makers. One will be a cheap model (not cheap in good way) and one will be a high end model. Both will likely be overpriced. Not only is Amazon likely to carry dozens or hundreds of products you’re looking for, but because sellers are competing against each other, prices are likely to be significantly lower. Even if you have to pay for shipping, it will still be cheaper than buying it from a local store. Buying a waffle iron on Amazon is the equivalent of all kitchen appliances sellers in your country placing their products on one shelf right in front of you, for you to choose from. Oh, and then those sellers will lower their prices daily to get you to choose from their products. Sounds cool, huh? There’s nothing like being an informed consumer. There are websites like this one dedicated to informing consumers looking for products on Amazon. We scour the web, searching, collecting, aggregating information on products. In addition to that, we often test many of these products ourselves or interview those who’be bought and used these products. Buying an appliance at a big box retailer means that you’ll have to go there, see what’s available, and then do some research on your phone based on what’s available. And even after that, you’ll overpay for it. On the flip side, you can always just trust that Wal-Mart will only place high quality products on its shelves…. Amazon has a stellar customer service reputation for a reason. They value their customers. Not only is their shipping fast but you can include tracking and they are great at taking responsibility for when something goes wrong. Amazon always strives to do the right thing. Need your waffle maker right away? Get 2 day shipping for free with Amazon Prime and get it right away. 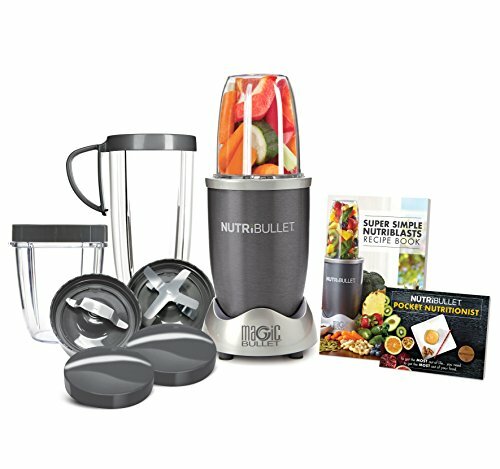 These are just a few of the many reasons why Amazon.com is the best place to shop, not just for Waffle Makers but for all kitchen appliances. Making waffles for your family (or yourself) is an excellent way to start your morning off right. Having a waffle maker on hand allows you to create these delicious treats whenever you want. Choose carefully and you’ll have an appliance that will keep you well supplied for years to come. How much are Waffle Makers? Waffle Maker or Waffle Iron - What's the difference?